In preparation for our new arrival I was very kindly sent a Fisher Price Sooth and Glow Owl, and just in case Athena felt left out she got one too! As ‘new baby’ isn’t here yet his Owl is still safely tucked up in his box, but Athena has been making friends with hers already! The Owl is the perfect size to pop into your babies cot or moses basket, and with a quick squeeze of its belly will play gentle music for fifteen minutes, and a light glow comes from his belly. You can of course turn the music off before the cycle ends with a 2 second squeeze and it will gently fade out. All the tunes played are familiar nursery rhymes. The battery pack (requiring 2x AA batteries) can be removed (and switched off of course) through a velcro panel at the back so that the body of the Owl can be washed if necessary. 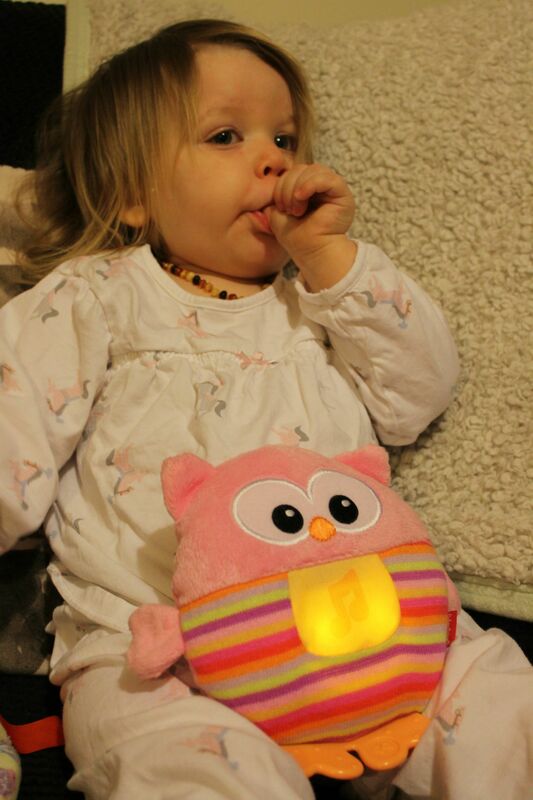 The Owls are soft and plushy, with woolly jumpers and plastic feet designed for baby to use as a teether if required! I envision it being really helpful if the new baby needs a calming influence when I have my hands full with Athena at bedtime or when I have to change a nappy for example, as well as of course to help sooth him to sleep as we start setting up a bedtime routine! The only negative I can think of is that there is no high or low volume choice, just the one setting and although it’s not obnoxiously loud I think a second quieter setting might be beneficial! 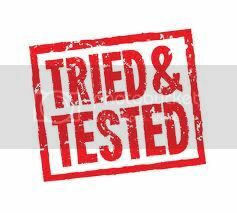 We were sent Soothe & Glow Owls for the purpose of this review, all opinions and words my own. I love Fisher Price, everything they make is so cute! This looks like a much more affordable version of that sheep sleep thing, i’m going to let me sister know about it as she is expecting soon! I love how cute your daughter is pretending to sleep! Fisher price thing of everything don’t they! Those PJs are so cute! Where are they from if you don’t mind me asking? The owl is cute too!